Join national treasure Sir Michael Parkinson for the launch of his new book, George Best: A Memoir, at the Gillian Lynne theatre, London, on the 11th December. In conversation with his son and co-author Mike, we not only celebrate the life and career of a man who has interviewed over 2000 of the most important cultural figures of the 20th and 21st centuries, but also remember his special and close relationship with George Best, who he first met as a whip thin, Belfast boy with film star looks and a footballing talent that was the wonder of his generation. 50 years after he was named European Footballer of the Year, Sir Michael will reveal his thoughts and reflections on why a man who seemingly had everything tragically decided to throw it all away. 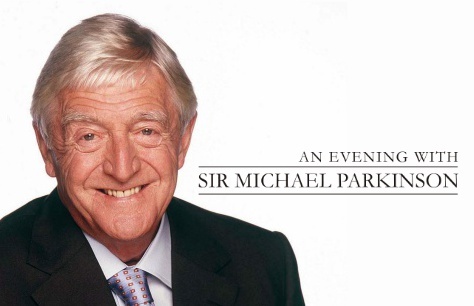 This show was a wonderful look back at Sir Michael's career and to listen to the music he loves played by a VERY big band and some talented singers. Only slight moan was that some of Sir Michael's speech was difficult to hear, I am hoping this will be clearer when broadcast on the radio. A splendid night spent in a wonderful theatre with a real gentleman of television and journalism.